On or about October 19, 2018, we will file an application for a discharge permit for our land-based salmon farm in Belfast with the Maine Department of Environmental Protection (DEP). This permit is known as the Maine Pollution Discharge Elimination System (MEPDES) wastewater discharge permit and is the first of several local, state and federal permits to be obtained before construction can begin. In advance of the filing and pursuant to DEP rules, we held a “Public Informational Meeting” on October 4 in Belfast to present information from the draft application. 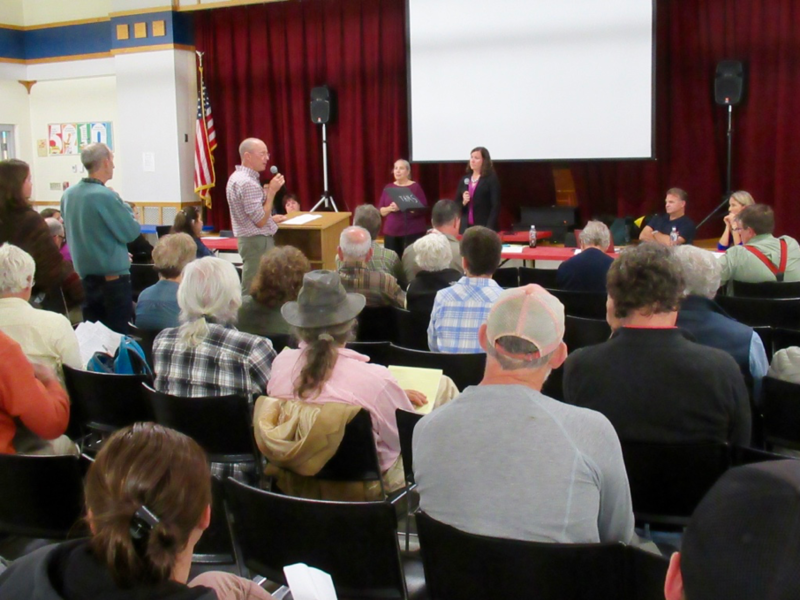 The meeting, attended by about 175 area residents, was an opportunity to take questions and comments from the public, which will become part of the application. In his presentation, CEO Erik Heim noted that the Belfast facility will utilize the latest and most advanced recirculating aquaculture system (RAS) technology. All fish production will take place indoors. Both groundwater from wells and ocean water from Penobscot Bay will be used in the production of the salmon. The water will be continually recirculated, with a small continuous water exchange. Prevention of disease is a high priority, and the primary risk for disease is the intake water from the bay. The intake water is treated in three steps with a final strong UV light dose for disinfection to create bio-secure water. With robust biosecurity and quarantine measures the risk of disease is greatly reduced in land-based systems like ours. Despite this, we are taking extra contingency measures for our discharge to protect the receiving water body. The combination of fine mesh microfiltration, followed by a strong UV light dose, neutralizes potentially harmful bacteria and virus in the discharge. To date, we have not seen any RAS farm take such measures in discharge treatment, and traditional salmon farming has none of these safeguards. Heim and the panel of experts who assisted with the presentation noted that we will beusing state-of-the-art wastewater treatment technologies to ensure that our discharge meets or exceeds all applicable water quality standards. Key components of the discharge are either below existing background levels in the bay, or reach background levels or lower within about 10 meters from the discharge pipe. In fact, Nordic Aquafarms is setting a new standard for the fish farming industry in terms of environmental profile per pound of fish produced. Once filed, the discharge application will be available for public inspection at DEP’s Augusta office and Belfast city hall during normal business hours. The application will also be available on the DEP’s website on the “Major Projects” page. In the meantime, we have prepared a fact sheet on the key information that will be in our discharge application, and you can access it here. Nordic Aquafarms CEO and founder Erik Heim and Director of Operations Marianne Naess are now fulltime Maine residents and will divide their time between the company’s offices in Portland and Belfast. With the move, Heim, who was born in the U.S. and holds dual Norwegian and U.S. citizenship, will devote his full attention to the company’s U.S. operations as president of Nordic Aquafarms. Inc., a 100 percent-owned subsidiary of Nordic Aquafarms AS in Norway. A new CEO, Bernt Olav Røttingsnes, has been named in Norway. Nordic Aquafarms, Inc.’s corporate office is now open at 511 Congress St. in Portland. The office, with its proximity to professional and financial services, key vendors and major transportation hubs, will serve as the company’s U.S. headquarters, focusing on the development of the Belfast facility and future growth opportunities in the U.S.
We are pleased to announce that Margaret Kneeland has joined the Nordic Aquafarms team as Office Manager. Margaret will be responsible for general office management, human resource administration, payroll processing and supporting the management team as we build our world class salmon farming facility. She will be located primarily in the corporate office Portland office, but also will provide support to the Belfast office. 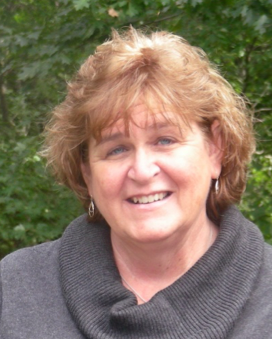 Margaret is a lifelong Maine resident with a diverse background. She began her career as a Field Representative in former U.S. Senator George Mitchell’s Portland office and spent many years working in fundraising and development for Maine Medical Center’s Children’s Miracle Network and Maine Children’s Cancer Program. For the past 15 years she has been part of the leadership team as Office Administrator for two Maine computer software businesses. Margaret and her husband, Rob, have two adult children. In a recent guest column in the Bangor Daily News, Barry A. Costa-Pierce, editor-in-chief of the journal Aquaculture, professor of marine sciences at the University of New England, and . The entire column, Maine aquafarms can feed the global demand for seafood, can be found here. 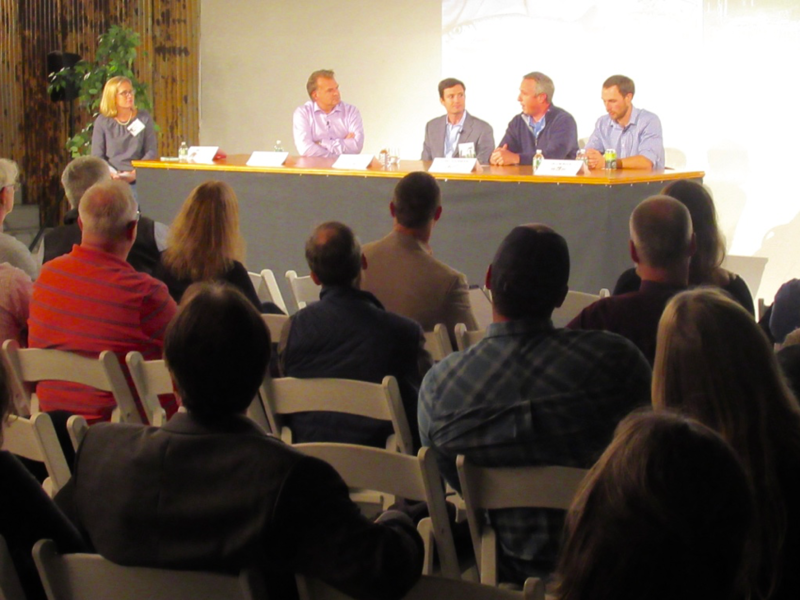 Just a few days after taking up fulltime residence in Maine, Nordic Aquafarms, Inc. CEO Erik Heim participated in a panel discussion on the future of the Maine food economy and the need to expand Maine’s value-added food and beverage production. The event was sponsored by Bank of America and held at O’Maine Studios in Portland in front of an audience of about 200 Maine business leaders. The panel represented a cross section of leaders from some of Maine’s best known food and beverage companies, including Luke Holden of Luke’s Lobster, Tony Shurman, CEO of Jasper Wyman & Son, and Jacob Buck of Maine Malt House. The discussion was moderated by Kirsten Miale, President of Good Shepard Food Bank. Nordic Aquafarms has hired six former employees of Inter Aqua Advance (IAA), a Danish company that has served the recirculating aquaculture systems (RAS) industry over many years. The former IAA employees are joining with Nordic Aquafarms’ existing engineering team to form a new subsidiary based in Denmark. Two additional hires have taken place in the Danish subsidiary since then. IAA declared bankruptcy at the end of August. Nordic Aquafarms was one of many large customers in the RAS aquaculture industry that IAA had served over the years, but it did not have any active IAA contracts when the bankruptcy was announced and thus had no economic exposure. Heim said that Nordic Aquafarms is now self-sufficient in RAS design and delivery and that these new in-house competencies will reduce cost and risk in ongoing and future projects, including the Belfast project. He added that the enhanced engineering team enables Nordic Aquafarms to ‘leap frog’ its development plan in becoming a world class land-based seafood producer with cutting edge design and a strong environmental profile.